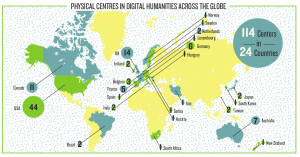 In a rich man’s world: Global DH? 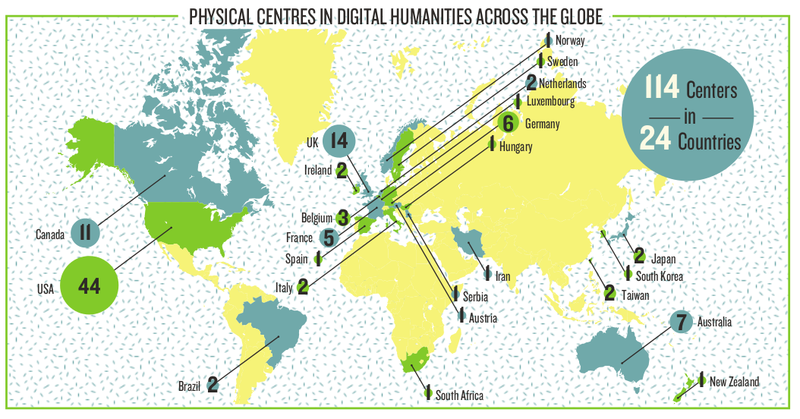 The following map is from Melissa Terras’s infographic, Quantifying the Digital Humanities. One of the books I am currently reading is Public no more: a new path for excellence for America’s public universities. This is a book by Gary C. Fethke and Andrew J. Policano, two business school administrators who explore how market-focussed techniques that apparently are common in U.S. business schools could be applied to the larger enterprise of running a public research university. Chasing the (long) tail: Was the Readabilty subscription model really a failed experiment? More on the changing business models (see my earlier entries, “Won’t get fooled again: Why is there no iTunes for scholarly publishing” and “Does Project Muse help of harm the scholarly community…“). Readability is an app developer whose main product is software for improving the long-form online reading experience. I’ve not used it (yet), but it seems to involve a combination of applying an optimised style to existing content and suppressing the surrounding ads and navigation clutter (contrary to the comment feed on their blog, Readability doesn’t seem to extract and resell content without producer’s permission: it seems to be more like a specialised kind of browser plugin for viewing content you already have access to). The original business model appears to have involved collecting subscription money ($5/month) from users who wanted a better reading experience and then distributing that money (minus a commission, I imagine) to the publishers who registered with them. There are aspects of this that you might quibble with–for example, had they thought they could communicate with the owners of every site their user base tried to read using their app? But on the whole it seems like an interesting and innovative idea: extracting some part of the capital required to produce content by selling a better experience in its consumption. And since I’d have thought they probably didn’t need to offer to share the money with the publishers (given that they were only reformatting the content), this is a business model that actually seems to have been constructive rather than purely exploitative. Yesterday, I posted an essay reflecting on the stratification of content development and delivery processes in the music, commercial publishing, and scholarly and scientific publishing industries (Won’t Get Fooled Again). At the end of the piece, I discussed the developing role of aggregators at the distribution and marketing end of the process. While there is no equivalent to iTunes in the scholarly publishing world, the aggregators fill a similar function to a certain extent with the institutional customers (particularly libraries) that are responsible for most of the purchases in this area. Won’t get fooled again? Why is there no iTunes for scholarly and scientific publishing? 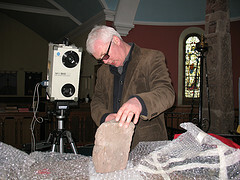 Mutatis mutandis, much the same can be said for other forms of publishing as well: scientific/scholarly and commercial book publication, even film development and distribution. In each case, historically, the distributors of the content also generally have been responsible to a greater or lesser extent for nurturing and supporting its development. Individual segments of the market have dropped or added to Townshend’s list of functions (adding peer review, for example, in addition to editorial functions, or focus-group testing final product before distribution). But on the whole, Townshend’s list is pretty complete. In the pre-Internet era, publishing was generally the province of highly vertically integrated organisations: the same group tended to oversee the production process from the submission of the original manuscript, idea, or prospectus to the final distribution of sales income. Educating scholars: doctoral education in the humanities has an interesting set of chapters addressing the question of what happens to PhD students after they leave their programmes, with or without a degree. The study of focussed on graduates of prominent departments in ten elite universities who were in programme in the period between 1991 and 2001 and so is looking at both a fairly strongly marked class of student and a strongly marked time period: the students they are following had what they describe as high “departmental prestige” when they entered the job market; and, while predictions of the faculty shortage in humanities that in part prompted this study (4) never actually appeared, their subjects do appear to have graduated into an academic job market that was more open than that immediately before or afterwards. So with all these provisos in mind, what happened to the students? A number of sets of figures stand out. To preview our findings, we find that there are no gender differences in the attrition and completion among students who are single. The overall gender differences in completion rates and attrition rates that we observed… are driven by the fact that married men are less likely to leave graduate school and more likely to earn degrees, whereas married women and single women do not differ in these respects. Having children at the time of entry to doctoral study is associated with increased chances of completing the degree within 10 years among men (but not significantly so), but this is not the case with women. Furthermore married men with children at the time of entry to doctoral study have shorter TTD [Time to Degree] than single men. In short marriage and fatherhood are beneficial for men when it comes to completing degrees. At the same time, contrary to popular expectation, marriage and motherhood are not detrimental for women (157, emphasis added). I’ve long felt that the greatest pressure on attrition in graduate school, particularly PhD programmes, but also lower levels, is life. I.e. one is in graduate school at exactly the same time in one’s life when people with similar abilities and training are establishing themselves in careers, business, and, especially, families. As with the “popular expectation,” I assumed this would result in greater attrition pressures on women. So it was a surprise to see that marital status has its real effect on the attrition of male students and that it doesn’t affect women.